As of 4/9/2017, RJ Price Heavy, LLC. has closed its family business doors. We are no longer expecting orders, emails, faxes or phone calls to the office. If you need further assistance for business prior to closing or a background check, please contact Jason Boyster at jasonboyster@aol.com or at 501-283-1895. It's been a pleasure service central Arkansas and the Odessa, TX for the oilfield for 8 years and OTR for 2 years! We have enjoyed being apart of the community. We are not sure how long our website will be up or our emails. Contact Jason Boyster for any additional information. 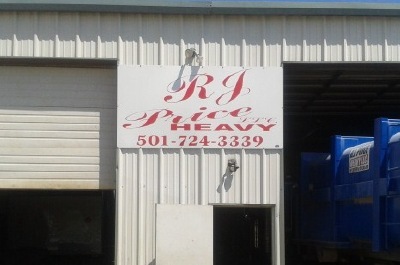 RJ Price Heavy, LLC. a family owned Over the Road Trucking company! We are a over the road trucking company servicing the Central US between Houston to Chicago and anything in between. We haul freight of all kinds. No Haz Mat please.